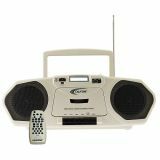 The Spirit supports many different formats: AM/FM cassette, CD player. The Spirit has proven itself in the classroom and can be used for ELL/ELD language acquisition activities and foreign language instruction in addition to literacy applications. A built-in microphone records student responses and helps teachers monitor student progress. Educators depend on high quality audio in the classroom or computer lab to teach topics ranging from phonics to foreign language acquisition. 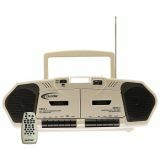 These all-purpose multimedia player/recorders provide flexibility and durability for differentiated individual or small group instruction as well as for a class of up to 75 people. The flexibility of Music Maker learning centers helps you optimize instruction time. Various sized groups can be accommodated with jackbox and headphone combinations. Educators depend on high quality audio in the classroom or computer lab to teach topics ranging from phonics to foreign language acquisition. 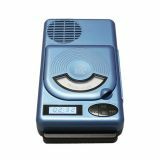 These all-purpose multimedia player/recorders provide flexibility and durability for differentiated individual or small group instruction as well as for a class of up to 75 people. The flexibility of Music Maker learning centers helps you optimize instruction time. Various sized groups can be accommodated with jackbox and headphone combinations. 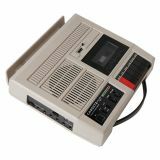 Music Maker Plus, Dual cassette. 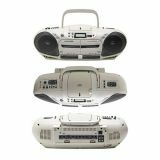 Designed for an array of activities for independent study, small group and whole class projects and even as a portable PA, the Performer Plus is one such tool. 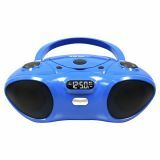 The built-in mic, six headphone jacks, tamper-resistant speakers, and variable speed CD/cassette playback are useful for all types of activities from ELL/ELD to dance and creative movement classes. 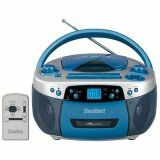 Other features include remote control for freedom of movement around the classroom, and a voice-over function you can use for announcements or emergencies. No separate jackbox is needed as headphones plug directly into the back of the media player. 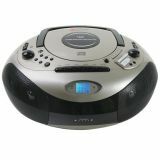 The Performer Plus reads and plays CD-R/RW and MP3 CDs. 2455-04 is AC only and comes with a detachable power supply, and has five built-in 1/4" headphone jacks. HamiltonBuhl Boombox with Bluetooth® Receiver, CD/FM Media Player! 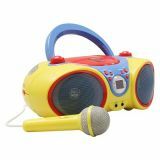 Kids CD Player Karaoke Machine w/ Mic. 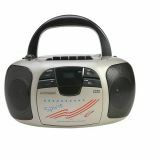 The Spirit SD supports many different formats: AM/FM cassette, CD player and even USB & SD ports (1886 only). The Spirit has proven itself in the classroom and can be used for ELL/ELD language acquisition activities and foreign language instruction in addition to literacy applications. A built-in microphone records student responses and helps teachers monitor student progress.